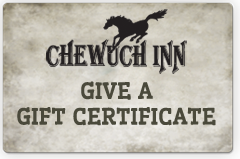 The Chewuch Inn is located just one half mile from the famous “Old West” town of Winthrop, Washington. Enjoy strolling the wooden boardwalks and unique shops, galleries and charming restaurants. Our small hotel has 11 guest rooms and nine cabins. All are beautifully appointed with luxurious linens, towels and down bedding. 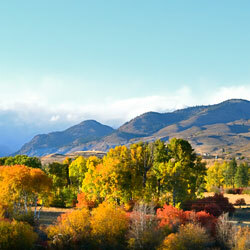 Take a look at a Fireplace King or Queen Room or one of our popular Romantic Cabins. All rooms include our delicious full breakfast buffet. The Chewuch Inn & Cabins offer guest rooms for a Romantic getaway, seasonal travelers and outdoor enthusiasts. We offer tips for hiking, biking, skiing, snowshoeing, trail running or just relaxing, we can also provide you with regional activities and highlights while visiting Washington state. Located on the sunny eastern slopes of the North Cascades Mountains of Washington state, the Chewuch Inn & Cabins lie in the beautiful Methow Valley. The area is known for its incredible landscape, recreational opportunities and a winter destination for world class cross-country skiing. From the Chewuch Inn you can stroll into town along the Methow River. We are centrally located for an abundance of outdoor adventures in the surrounding North Cascades National Park, National Forests and the Pasayten Wilderness. Our small hotel provides the privacy you expect with the relaxed atmosphere of a Bed & Breakfast Inn.